Janette Budge was born in Shetland in the 1970's and brought up on a croft on the Westside of Shetland. During her childhood her mother knitted yoke jumpers to sell to supplement the family income. Janette learned to knit around the age of six and quickly picked up traditional Fair Isle knitting skills both from her mother and her school knitting teacher. local school with the Shetland PeerieMakkers charity. 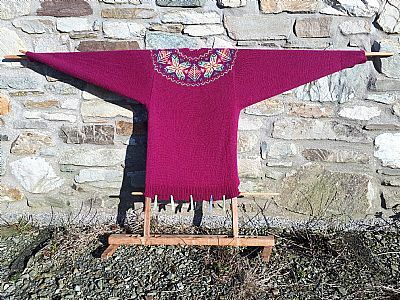 She is a member of the Shetland Guild of Spinners, Knitters, Weavers and Dyers and a Shetland Wool Week tutor. Janette designed the Clickimin Cowl for the 2018 Shetland Wool Week Annual. 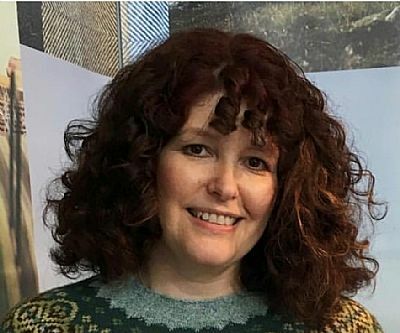 In this talk Janette will explore Shetland's changing Fair Isle knitting designs through the decades, and how Janette's own family knitting heritage fit into the picture.